Education Series Part 2 – 1031 Exchange – What are the Rules? Here we are again to discuss 1031 Exchanges. Last week, if you remember, we learned exactly what a 1031 Exchange was, and what kinds of exchanges can be done. in order for the exchange to go through. 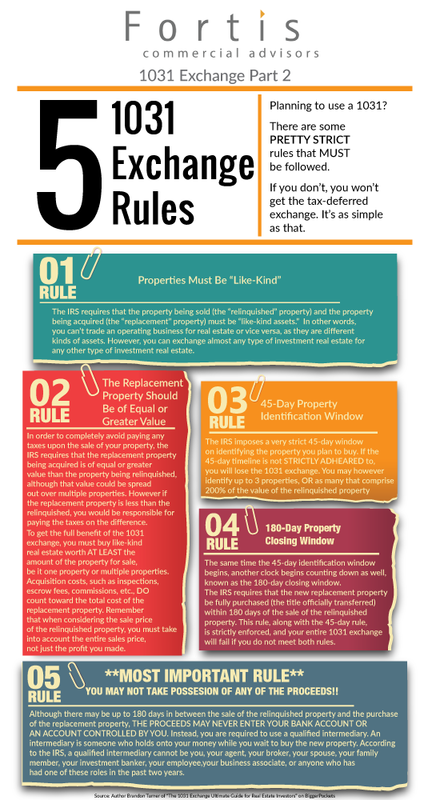 If any one of these 5 rules are not completed the way the IRS has outlined, the exchange will not happen. We hope you enjoy this series, and if you would like to see more like this or you have a suggestion, please let us know by completing this form.